License for installation in one computer. Support and all upgrades are included. This package is for installation in 3 computers, and Interplay will provide the club with 7 free licenses which can be used for coach and youth player development. Support and all upgrades are included. Licenses for all national coaches and video coaches for supporting all your national teams. All education and support is included. Interplay Pro versions are built for easy handling of your most complex analysis and scouting tasks. 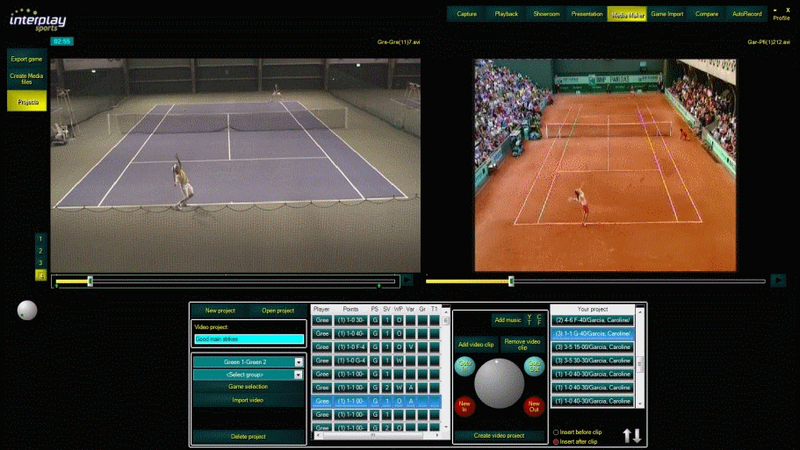 Interplay-sports can do live analysis with up to 4 cameras. 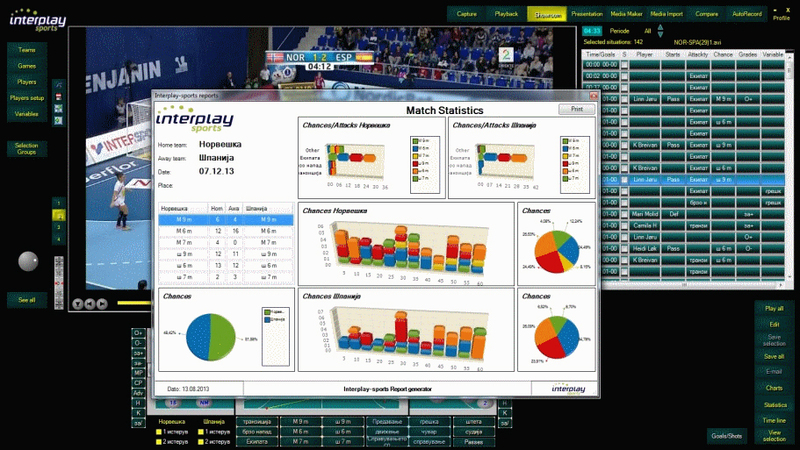 Interplay-sports can do post analysis from camera, imported video files, from streamed matches in net and television broadcast.. The system is very easy to use in simple mode but even in advanced and flexible analysis. You can combine all variables with player actions and passes. 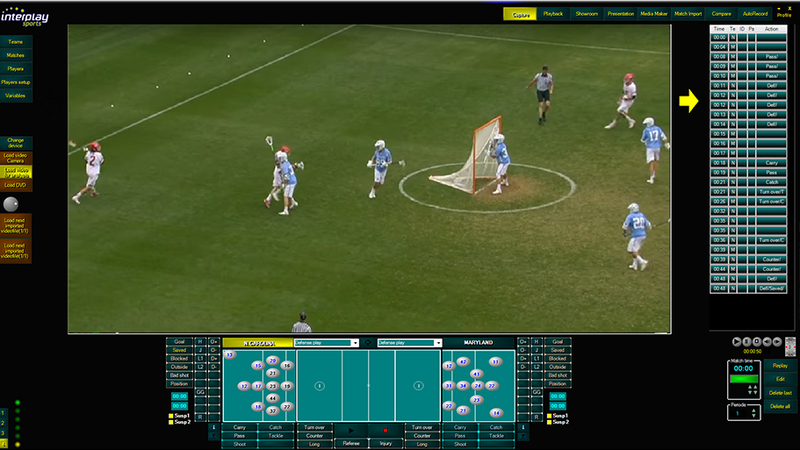 You can make the analysis very effective for all offence and defence situations in the match analysis with connections to players and your own variables. You can make effective opponents analysis of both teams in the same operation. Interplay is designed for different sports that includes all rules and specific handling for the sport. This can be player lineups, easy change of players or lines, special teams, power play, penalty killing and pass/shots with special features. The analysis variables are organized in groups for attack types, shots, grades, technical/tactical and multi variables that make it very easy to connect different groups of variables and players. All variables can be changed by you to what you need for your coaching. It is possible to have several variabel sets for different teams and different needs. The system is ready for halftime review in the locker room. Stream video and analysis to the locker room at halftime direct from the analysis computer and view situations at a mirror computer and present at big screen for the players. 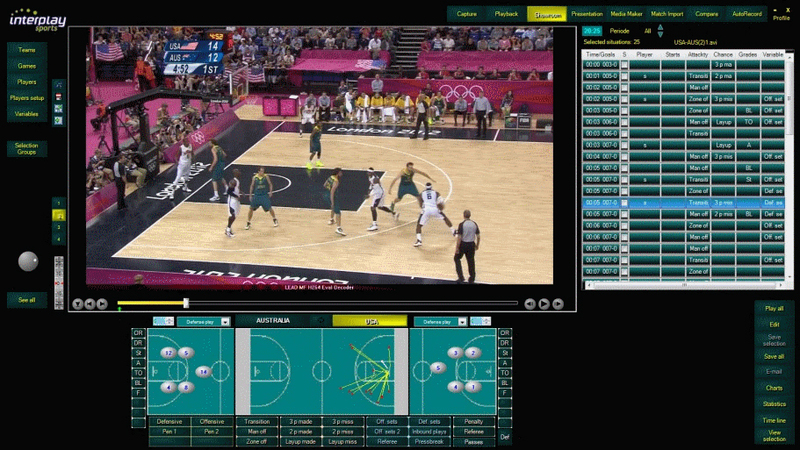 Mobile devices can be used during the match and give live information and video to the coaches at the side line. 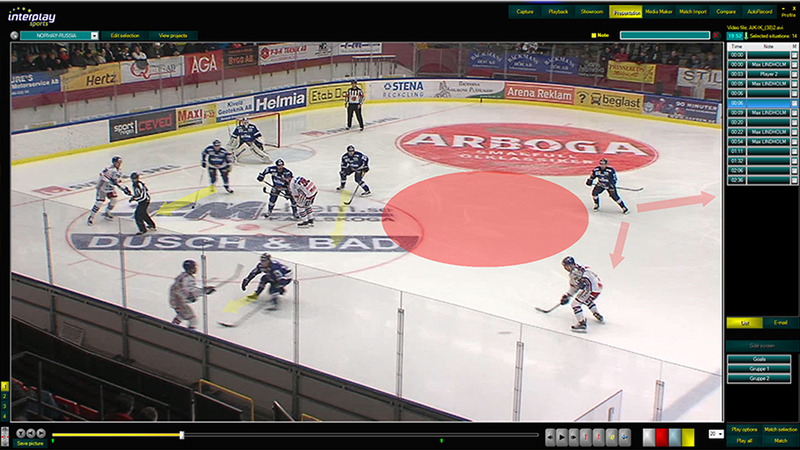 The coaches can also add situations to the analysis during the game. 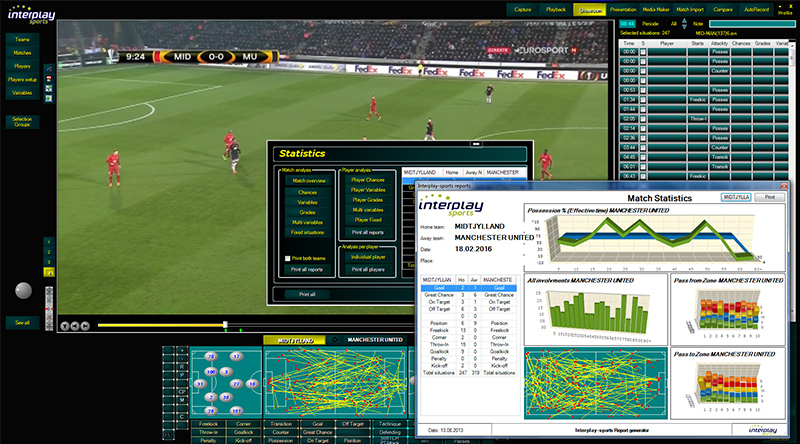 Easy export and import between different Interplay systems or using the net for moving the analysis to other Interplay-computers and MiniPro systems. Easy to edit, add new or delete situations from the analysis. Big screen presentation for player meetings where it is easy to change between different camera inputs and matches, multi matches and saved projects in the system.